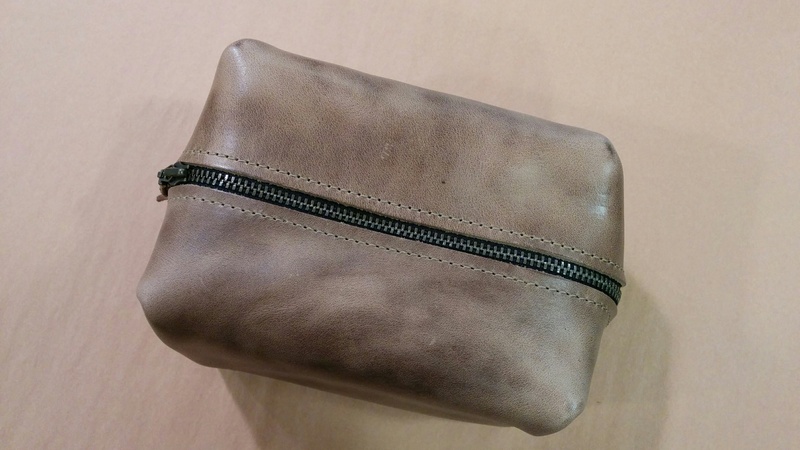 Our popular Horween Chromexcel leather Dopp bag in a more compact size (6"X4"X4") for those who prefer to travel light! Third picture shows the LARGE and SMALL bags together (just for the sake of comparison - you do NOT get both bags for $90 - just the SMALL one). 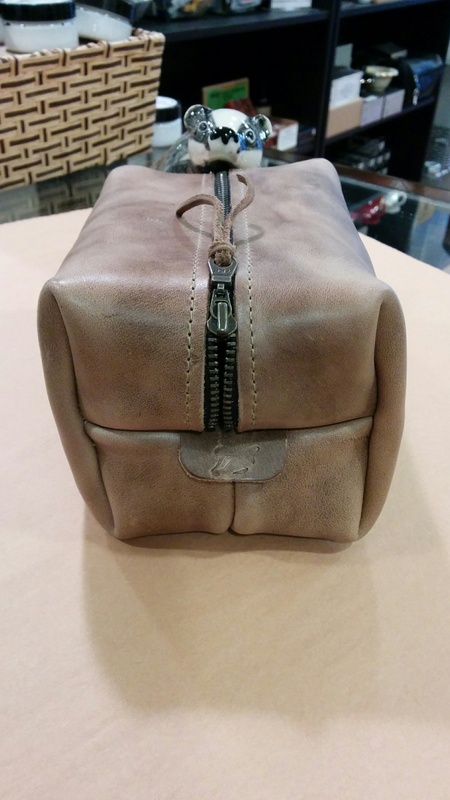 Handmade by Popov Leather in beautiful Nelson, BC, Canada - lifetime warranty. 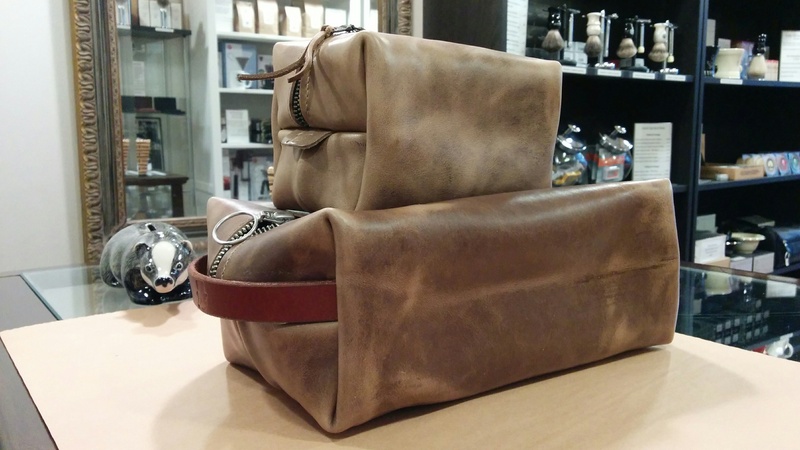 As is the case with all quality, natural leather goods, the exact colour and grain will vary from one item to the next - no two are exactly alike. As well, some items may have naturally occurring marks or inclusions - these are not defects in the product.